At 6-1/2 inch diameter and about 120 grams, our latest Gator skin dodgeball is the perfect size and weight for middle school age kids! 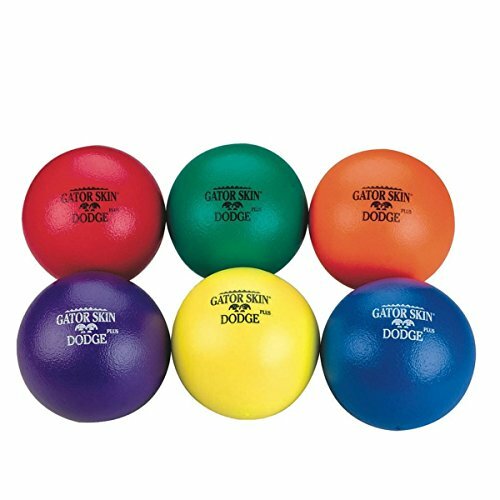 built with the same maximum durability as our adult dodgeballs, the Gator skin Dodge Plus ball features a high-density foam and an added bonding layer between the foam and cover. This ball weighs about 1/3rd the weight of a traditional rubber Playground ball often used for dodgeball. 6-Color set. Non-sting coating is a proprietary polyurethane.Gator skin is a registered trademark of S&S Worldwide. Any use of this trademark without express written Consent from S&S Worldwide is strictly prohibited. Gator skin is the original coated foam ball enjoyed by millions of satisfied customers. If you have any questions about this product by S&S Worldwide, contact us by completing and submitting the form below. If you are looking for a specif part number, please include it with your message. Volley Foam 65kg Uncoated Ball, Yellow, 6" Dia.